Kendra's rockin' this Ann Taylor Loft lace top she snagged for 99cents at our Lewisville location. Looks like Spring has officially sprung in Texas! Look for our amazing sales in October! We always have a special color tag for 50% everyday. We support all the breast cancer survivors and those of you who have been impacted by this disease. 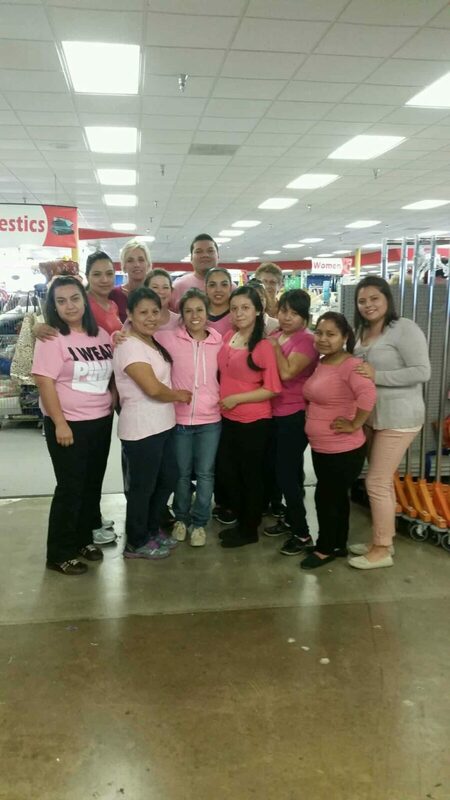 Thrift City gave away a portion of revenues to local breast cancer charities as our little way of..learn more . . 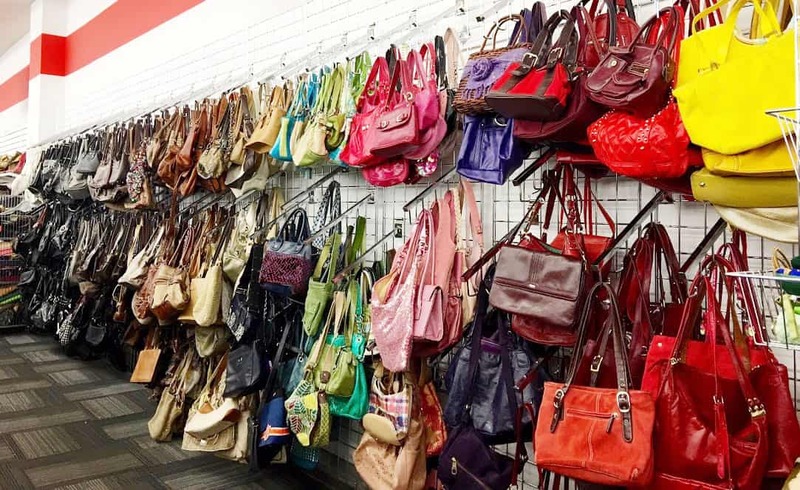 Check out our handbag wall at each of our stores. There is something for every outfit.learn more . . Check out our shoe department. 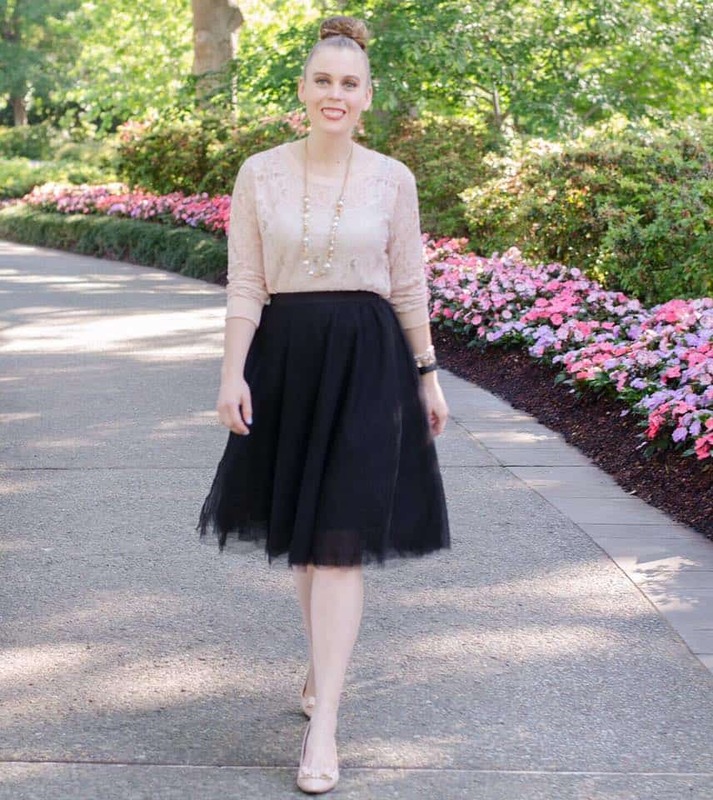 We have all of the great brand names here to compliment your fabulous outfit.learn more . .
We are busting at the seams with amazing finds at all of our stores. 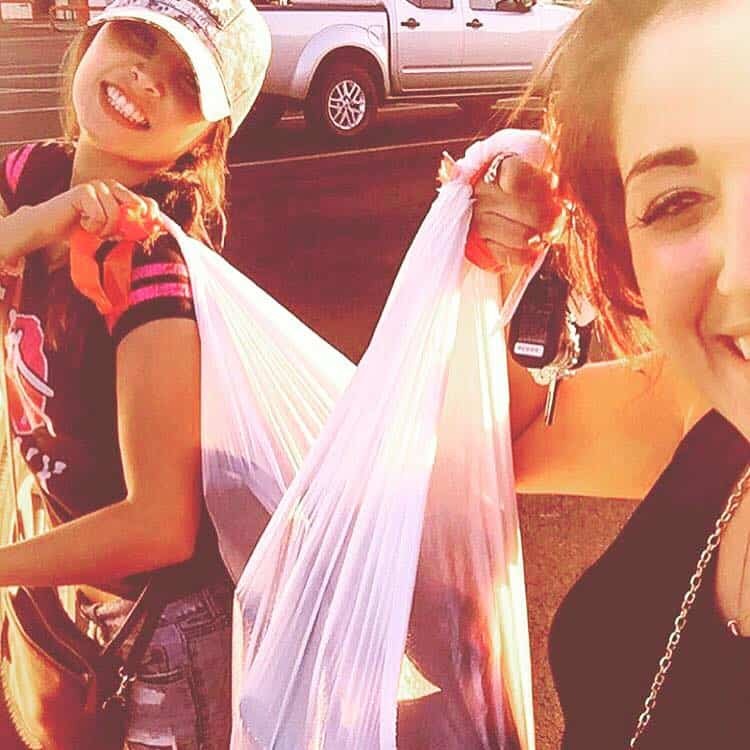 Stephanie and her friend aren't carrying any ordinary trash bags! Those bags are stuffed with all their 50% off goodies. Who els..learn more . .